The most natural digital handwriting experience on iPad, Penultimate gives you the convenience and feel of writing on paper with the added power and availability of Evernote. Take notes in class or a meeting, journal your thoughts, or outline your next big idea -- in the office, on the go, or at home on the sofa. Write, illustrate and annotate using gorgeous retina ink. Notability's zoom window helps you quickly and clearly draw every detail, while the palm rest protects your notes from unwanted marks. Choose the right pen and paper for any project. Create accurate MLA, APA, and Chicago style citations in seconds by scanning a book bar code or by typing the name of a book. Build and manage your works cited. Once done, email your citations and then export your citations to EasyBib.com's popular bibliography management service. Writing a bibliography can be hard. Keeping track of your resources, quotes and how to format them can be downright daunting. iSource does quick work of formatting bibliography entries and in-text citations for you, saves these formatted entries all in one place and is simlpe and easy to use. iSource even includes a list of the most common formatting rules for you to use as a reference guide. My MLA is the ultimate guide and companion for students, researchers and scholars who need to utilize the style (6th Ed.). MLA (Modern Language Association) style is most commonly used to write papers and cite sources within the liberal arts and humanities. This resource, updated to reflect the MLA Handbook for Writers of Research Papers (7th ed.) offers examples for the general format of MLA research papers, in-text citations, endnotes/footnotes, and the Works Cited page. Mendeley is your personal research library. Carry thousands of PDFs in your pocket. Read and annotate them on the go, search your entire library, and easily sync everything between your iPhone, iPad, and Mendeley Desktop (available on Windows, Mac, and Linux). EBSCOhost databases and discovery technologies are the most-used, premium online information resources for tens of thousands of institutions worldwide. This free app ensures that iPhone and iPod Touch users get the most from searching premium EBSCOhost database content, provided courtesy of your library. Find, store, create and share from anywhere with EndNote® - the most powerful research productivity tool on the market. With flexible tools for searching, organizing and creating research, the EndNote® for iPad app extends your ability to stay on top of cutting edge research and connect with your EndNote® library when you’re on the go. 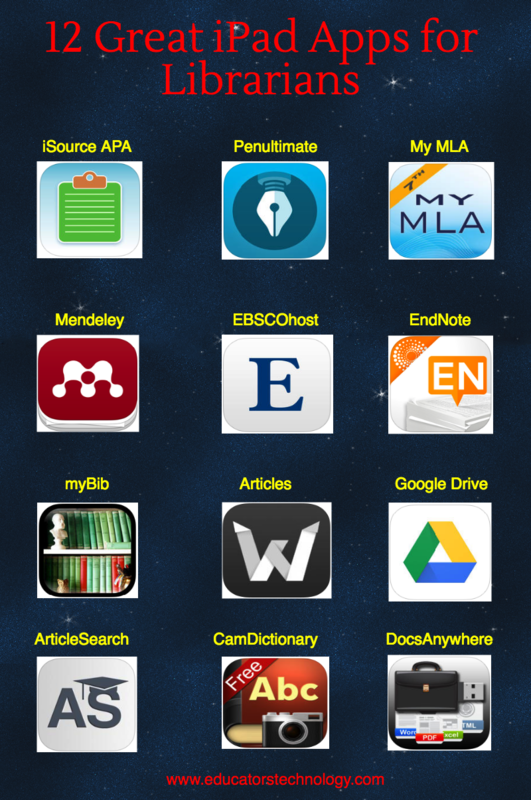 myBib is a mobile BibTeX bibliography manager for iOS. Just enter an ISBN (with barcode scanner or manually) and the additional information like title, author, publisher, artworks etc. will be added automatically. Great for academics or for keeping track of what you read. Add and save your own comments. Export your whole bibliography or parts either in text or in BibTeX format for storing it on your Mac / PC or for adding it to your scientific paper.